Merry Christmas to you and your families and I hope you have a fantastic time today and over the next week or so until work commitments re-commence in early January. 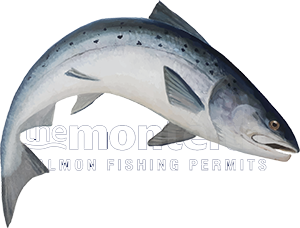 With New Year fast approaching there's definitely a buzz of anticipation in the air created by just knowing there are thousands of perfect Spring salmon heading our way. No doubt over the next few weeks many of us will be tying a few more appropriate salmon flies and conditioning our fly lines along with other obsessional closed season behavioural habits! What a sport it is to have that effect on your mind as we dwell on the early sounds of a salmon take on the fly reel and other such magical components of the sport we are truly blessed with. If you think about the odds of you swinging your salmon fly precisely at the correct square metre of a salmon pool and the journey from your home to the river paired with the salmon's journey from Greenland's rich feeding grounds makes it a really remarkable coincidence. The sport is truly extra special as any salmon angler who's looked close enough will completely agree. Forget the graphs, opinions and egotistical statements from those who most definitely do not possess a crystal ball and tune into the river next time you're out. All you need to hear in the Spring on any of Scotland's wonderful salmon fishing rivers is the laughter of friends, the clinking or glasses, the call of the oyster catcher and the eventual adrenalin releasing tugs on the clutch of your fly reel before the serious excitement begins! I'm more than convinced than ever that an amazing Scottish Spring salmon run is heading home to our glorious salmon rivers and that season 2018 will be a big reminder to all of those soothsayers who think they know more than Mother Nature herself and her mystical & ever surprising methods of operation.